Join me & spend 8 days/7 nights tucked away in a private, fully staffed villa on the lush island of Bali. This tropical retreat is designed for adventurous women looking to embark on a soul-reviving, breathtaking getaway on an island rich with Southeast Asian heritage & culture. Oh--and the views are too shabby either. 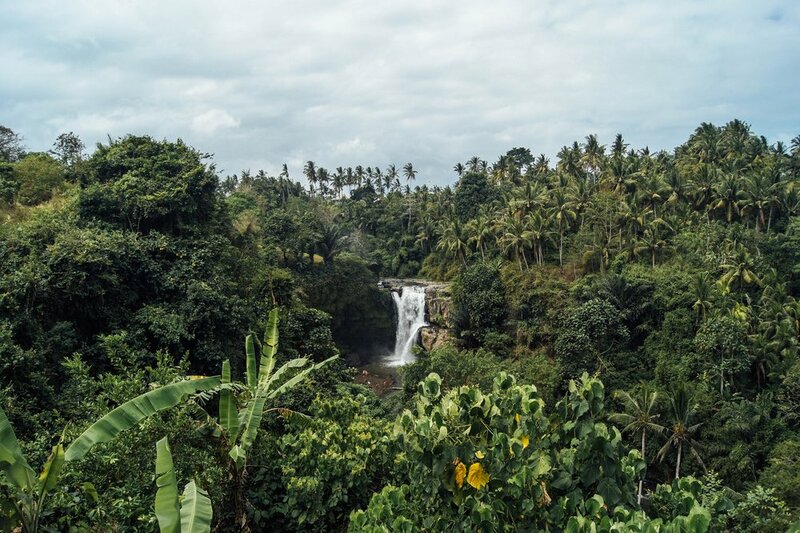 Bali is steeped in ancient history & deep spirituality, teeming with an energy that makes you feel as if you're standing on the edge of the world. If you're aching to be refreshed, revived & re-inspired, know that this retreat didn't find you by accident. Come be Lost & Found with me. You'll sleep in late & wake up to a traditional Balinese breakfast make from fresh, organic, ingredients prepared by the in-house chef. Then maybe we'll all venture out to tour the rice fields before heading back to the villa so you can relax & prepare for your private massage. After our excursion it will be time for a quick group dinner before dashing out to spend the evening at a traditional Balinese dance show. Or....maybe you'll prefer to just spend the day lounging by the pool & connecting with a new friend (or a few!). You'll have a chance to visit waterfalls, shop with local craftsmen & explore ancient temples....if your heart so desires. Our flexible schedule allows you to both, experience the island AND refill your heart, mind, body & soul in the best way that you see fit. Daily breakfast featuring traditional Balinese specialty items PLUS all lunches & dinners at the villa (pay only for the meals you eat outside of the villa). Private, full day cultural tour where we'll visit local villages to see batik weaving & woodwork in action, then take in some of Bali's most famous sites. Your $3417 investment can be paid up front, in one payment, or divided into 10 payments with your $550 deposit due August 30, 2019 and then (9) monthly payments of $318.56 due on the 30th of every month (September 30, October 30, November 30, December 30 2018, January 30, February 28, March 30, April 30 2019). Your final payment for May 2019 will be due no later than May 9th. You're an adventurous woman who loves to explore new cultures & welcomes the opportunity to learn about new lands & ways of life. Someone who enjoys trying new foods. A woman who enjoys pushing the boundaries of her own comfort zone & values EXPERIENCES above THINGS. A woman who's confident enough to know she doesn't have to depend on a tour guide & relishes charting her own path...but also enjoys creating new relationships forged by deep, authentic connections. If you're someone who doesn't take herself too seriously, loves to laugh, is easy-going & enjoys meeting new people, then you're the type of woman I'm looking for. And you're gonna love this trip. This trip is not right for the: High maintenance women. Picky eaters. Women who can't bare to be unplugged from WIFI. Those who expect to be hand-held, managed, catered to, are afraid to be by themselves, don't like to walk or get annoyed around non-English speakers. Ones who expect every country to be just like the United States. If you have a Type A personality, are over dramatic (you KNOW if this is you), or expect a very Western experience...this isn't the trip for you! i'm ready to go to bali!